Sneaking around in the bushes at night is never a good idea. Even less so if the bushes have nasty spines. 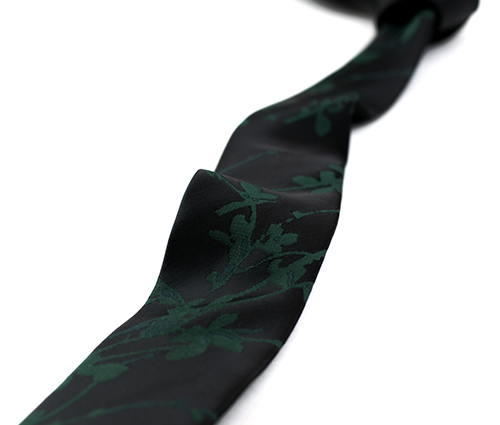 Black tie with intricate floral pattern in dark green. 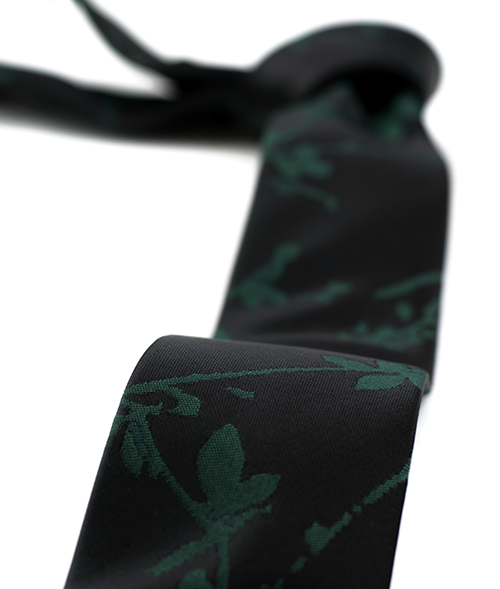 Black with dark green floral pattern. 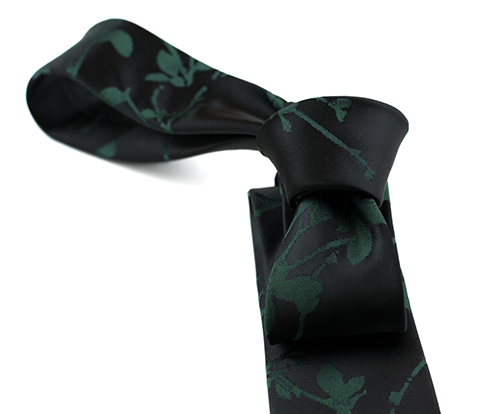 In the dark of night, if you're moving in areas with tight vegetation. 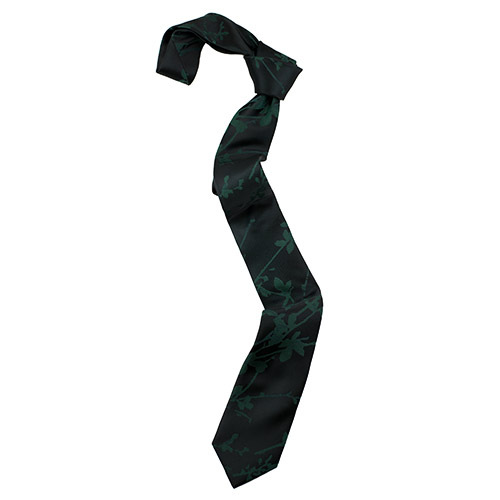 Like a park, forrest or shrubbery - watch out for thorns and spiny vines that might rip your suit in pieces!